We aim to help your dog grow into his/her senior years, both gracefully and healthfully! At Winter Park Veterinary Hospital, we believe that caring for your aging dog requires more than simply treating problems as they arise. The best way to help your dog grow into his senior years healthfully is by emphasizing your dog’s wellness throughout his/her life with a comprehensive wellness health care plan, and a senior wellness health care plan when your dog reaches about the age of 7. Your dog’s breath makes you hold yours! Discussing these health changes with us will help the veterinarians at Winter Park Veterinary Hospital design an individualized senior wellness care plan for your dog. 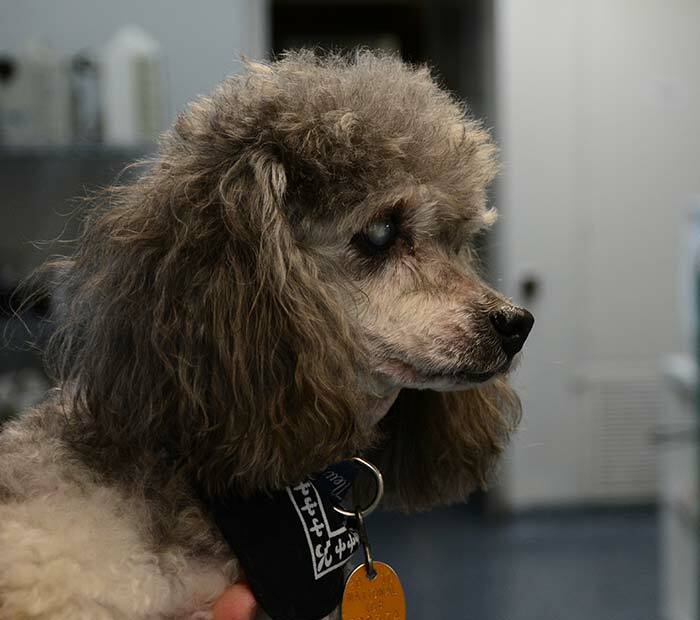 Senior wellness exams are recommended semi-annually for aging dogs because they help our veterinarians detect, diagnose and treat any medical conditions before they progress into serious problems and negatively affect your dog’s quality of life. An in-depth senior wellness exam, including a dental evaluation. We want to help you in providing your aging dog with the best and most comprehensive senior veterinary care so that he/she experiences the healthiest and happiest quality of life in his/her “golden years"! If you any questions about your “senior” dog, please give us a call. We are here to help. Contact us to schedule a senior wellness exam for your senior dog.